An Australian Arab is a citizen of Australia whose ancestry originates from an Arab country. 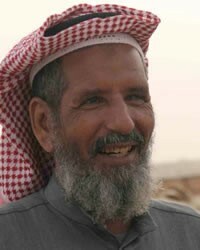 The biggest Australian Arab groups are according to the 2001 census, the Lebanese by far, then the Egyptians, Iraqis, Syrians, Palestinians and Jordanians in that order. They speak Arabic and English. The Lebanese Australians are mainly Maronite Catholics while many others are Muslims. Most Lebanese Australians live in Sydney. Others are in Melbourne and Brisbane. In the 1890s there were many Lebanese immigrants coming to Australia. From 1920 the Lebanese and Syrians were able to become Australian citizens. At the beginning of the Lebanese Civil War in 1975, more than twenty thousand came to live in Australia. There were many who were poor and more than half of them were Muslims. The situation in Lebanon caused more to come to Australia in the 1970s and 1980s. Some of the Lebanese in Melbourne have restaurants and grocery shops. There are many Lebanese-Australian business groups. This helps the Lebanese in Australia and helps with relations between Lebanon and Australia. The Egyptian Australians live mainly in Sydney and Melbourne. 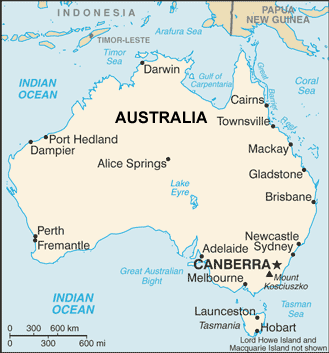 Many came to Australia in the late 1940s and 1950s. About two thousand Egyptian Jews left then. Most Egyptian Australians are Copts. Many Palestinian Australians came because of war in their homeland. Economic problems due to them being stateless caused many to emigrate. Immigration from Jordan is largely recent and has increased in the last few years. Most Jordanian Australians live in New South Wales. With the people from the United Arab Emirates, they too are a growing number in Australia. Students are by far the biggest group among them. Many people from the U.A.R. like to come to Australia as tourists. Immigration to Australia by the Kuwaitis has increased much in the last few years. They live mainly in New South Wales and Victoria. There are thousands of Saudi Arabians living in Australia. They live in Sydney, Melbourne, Brisbane and other cities. Many are students. They are studying such things as computers, medical work, accountancy and other businesses too. They also have grown in numbers recently. en.wikipedia.org/wiki/arab_australianView Arab, general in all countries.